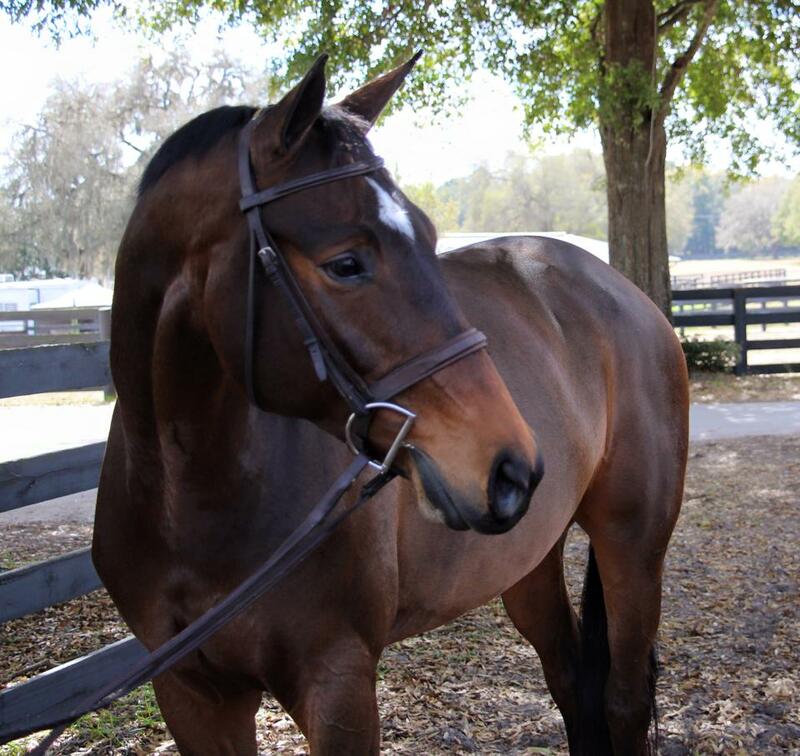 Galway Farm's program creates winning results during the Hits Ocala Circuit. 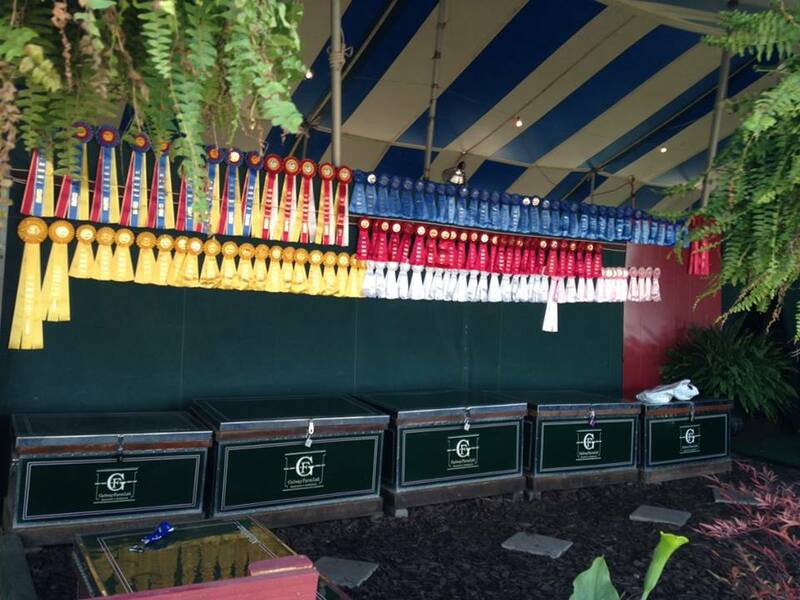 Long Grove, IL – March 5, 2015 – Lorrie Canady’s Galway Farm in Long Grove, IL has an innovative and fun program that keeps the ball rolling at home and at the shows. Canady has organized a system that starts with purchasing top, affordable horses, giving them quality training and keeping the barn at home going full throttle while they head to the shows collecting championships. Canady has an eye for finding quality horses and a good reputation when selling them. She gives the horses confidence and mileage in the show ring without overtaking them. Galway's rider, Molly McAdow, Crystal Lake, IL, is collecting top prizes at the Ocala Hits Circuit on some of Canady’s purchases. Lorrie Canady's Eileen has won numerous classes in the 3'3" Performance Hunters. Eileen, an eight-year-old Hanoverian mare, is currently leading the series standings in the 3’3” Performance Hunters from her numerous wins in the division. 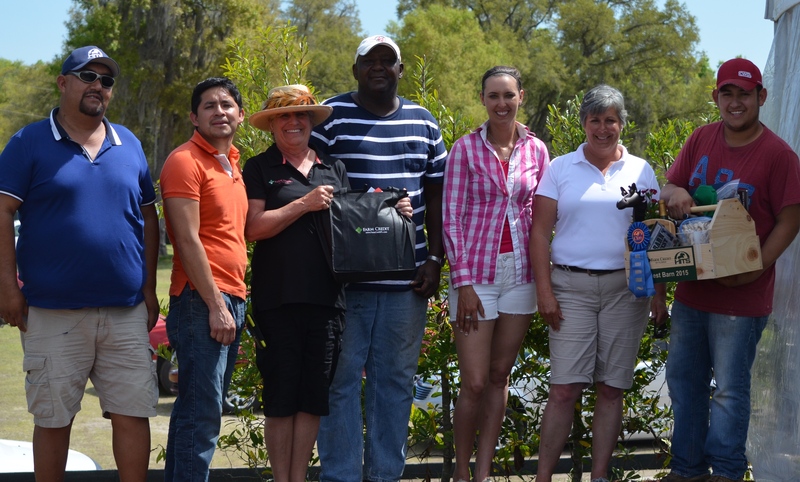 Barina, owned by customer Nina Donnelly, was champion in the low hunters during the Ocala Tournament VII. Mary Beth Canfield's Claas Clever won several High Pre-green hunter classes and daughter Molly, won a USEF Pony Medal. Erik Swanson’s Savile Row has been both Champion and Reserve Champion in the Conformation Hunters with McAdow during the series and Lanie Bricker rode Canady's Audis Classic Pleasure to second place in the Low Children’s Jumper Classic. Bricker’s horse, Charlie Brown, won the third place spot in the Hits Hunter Prix and won a class in the First Year Green Hunter division with McAdow. Let’s Duet, owned by McAdow, has been winning top ribbons in the baby green division, gaining great show mileage in the process. The Galway Farm staff receives their award for the Best Barn Contest. The entire Galway Farm staff has been working hard in Ocala and was rewarded with the win in the Best Barn Contest for the second year in a year. Each barn's set up is judged on appearance, neatness and functionality. Customers commuting back and forth from the frozen tundra of Chicago to the sunshine and palm trees in Florida, stay in riding shape when they are at home with new assistant trainer Alexis Bodo from Kentucky. Bodo teaches the customers on school horses when they are home so they are ready when they get to the show. Canady keeps the show horses ready for the customers when they arrive to show. The program is working for everyone. Bodo currently lives in Palatine, IL and is a graduate or Northern Kentucky University. 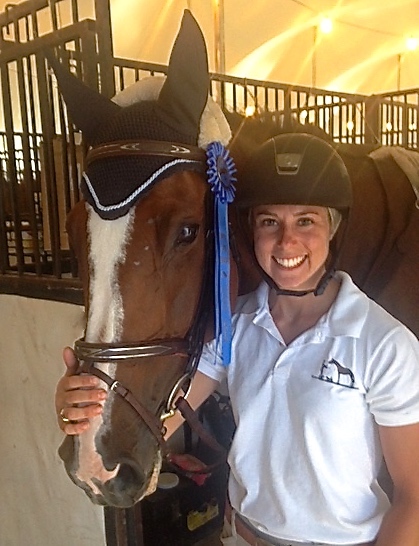 She has ridden since she was four-years-old and turned professional last year. She stayed in her home state of Kentucky to attend college so she could show her jumpers on the weekends. Bodo met Canady almost a year ago, interviewed for the position and finally started at Galway Farm in January. Bodo hit the ground running and has been busy organizing special events at the farm. Last week, Bodo organized a gymkhana night for the customers at home with fabulous catered food. They tacked up the school ponies and played games on horseback. Everyone had a fun evening and improved their riding skills with the games. Twice a month Bodo has horsemanship clinics where students can learn about grooming, farriers and vets in addition to their riding lessons. Bodo (right) is also planning a summer camp. March 23rd is Million Dollar Monday at the farm. Bodo is planning a big screen viewing of the Great American $1 Million Grand Prix from Hits Ocala. The event is open to everyone for a small admission fee and includes plenty of food and fun. Her enthusiasm shows and her creativity has certainly warmed up a long, cold winter for Galway customers. 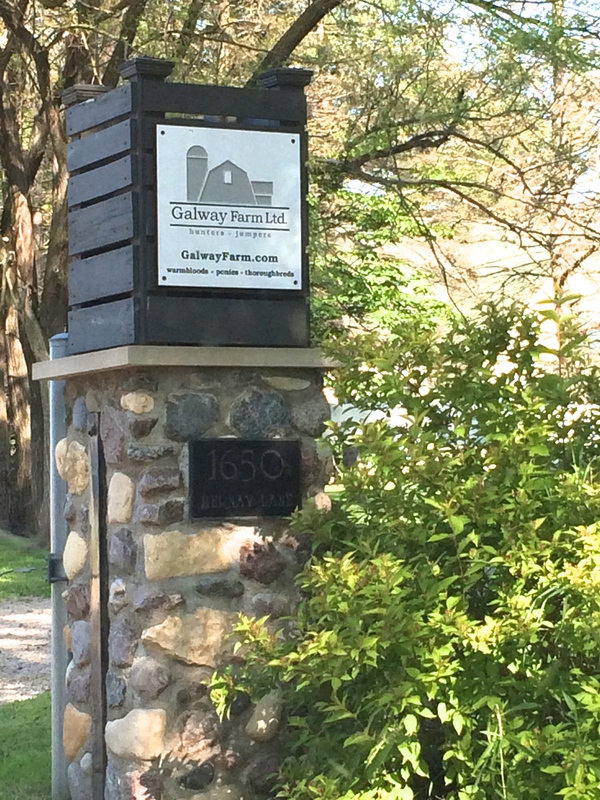 For more information on Galway Farm please visit www.Galwayfarm.com or "Like" them on Facebook.